Building your brand means being part of a network of customers, clients, followers, fans, friends and competitors. Think about what talents, skills and abilities you bring to the table and what you can offer to enrich your brand community. It might be as simple as sharing a link to an article, praising a colleague, mentoring a student or younger peer, or helping with a project. A few years ago, I heard Angela Jia Kim, founder of Savor the Success, explain to Fabienne Fredrickson (CEO of Client Attraction) in an interview, her Give, Give, Get philosophy. Rather than focusing on what you can get and take away for yourself, she encouraged women to give generously to their networks by sharing knowledge, resources, skills and talents. Doing this adds value to your network, empowers the entire group and in return, gives you visibility and enriches your personal brand. As a giver, you share in the benefits of the collective value added to the group. Image matters so carefully consider the optics of your brand! A picture is worth a thousand words and can go viral in seconds. In today’s highly image-conscious, everything-digital world, the visual identity and impressions your brand projects to the world are critical for your business or career success. It can make or break your fortune overnight. 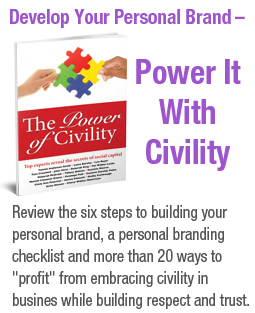 Be savvy about the rules of etiquette and civility skillset required for successful business and personal relationships. For your brand collateral, carefully choose the colors, graphics, design and content for logos, memes, brochures, business cards, websites, videos and Social Media profiles. A professional headshot can really make you stand out with distinction. Always use a professional or trusted source. Remember that appearances, personal conduct and communication (verbal and non-verbal) continuously shape the optics of your brand online and in person. You’ve heard the old saying, ‘it’s not what you know, it’s who you know.’ It still matters today. Making the right connections with people of influence can help you grow your brand. 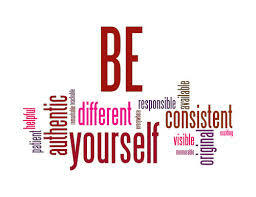 In one of his personal branding training videos titled, “Know Yourself to Grow Yourself”, personal branding guru, William Arruda suggests you should ask yourself “who do I know that can help me grow my brand?” Think about who you know that is a person of influence that would be willing to personally help you or connect you with the right people. Make a list, and then categorize them based on their areas of influence or expertise. Write down how you believe they can best help you and what kind of help you are looking for. Carefully craft a reasonable and respectful message asking for their help. Be prepared to seize the opportunity when it comes. It is vital that you are ready to present yourself as a viable person to be connected or referred. When it comes to personal branding, constancy counts for a lot. Along with authenticity and consistency, it is one of the hallmarks of strong brands. It never fails to amaze me that I get an email from Oprah several times a week promoting her TV programs, magazine or life skills classes. The messaging is constant. For your personal brand to stand out and be recognized, you must make and execute a plan to represent and promote your personal brand in person and online with regularity in multiple circles. You can’t be everywhere at all times but entrepreneur and Coach Melissa Evans recommends using systems to help with delivering consistent performance. Consider using automated tools for managing email, voicemail and Social Media messaging, appointment scheduling, reminders, and monitoring your brand on the Internet. All of the above help you shape your public perception and presence in the digital and real world. Personal branding is an ongoing process that takes time and a commitment of human and financial resources to achieve your desired results. Following all ten commandments will keep you on the right path to achieving your personal branding goals. Please visit http://www.kymsimge.com for more tips and resources. Yasmin Anderson-Smith is a certified image management and personal branding coach, trainer, speaker and author with global exposure and a focus on civility. Yasmin empowers and inspires business women, young professionals and college students to achieve career success and build respect and trust. Hello friends, how is all, and what you would like to say on the topic of this piece of writing, in my view its in fact remarkable in favor of me.